« What time of day should you post to your Facebook page? With websites like Free Twitter Designer and TwitBacks, you can customize within the site using either a blank slate or a pre-made background. These sites have basic design centers allowing placement of text, shapes and personal images with a few Photoshop-esque options like blending and shadow drops. A site like Colour Lovers will feed your aesthetic needs, allowing you to start building your design from a theme, a pattern or a color palette. Simple customization sites like these allow you to customize your Twitter page without digging into your pockets to hire a designer to do it for you, although if you have a small budget, websites like Twitter and Beyond, Tweetxilla, and Tweet with Style offer custom design for under $100. You don’t have to hire a graphic designer to work Photoshop magic. Amping up your creativity with the full liberation of doing it yourself from scratch is not too hard to do. With some basic design and marketing chops, you can create an eye-grabbing layout that captures your brand. Start with templates like this one from Fuel Your Creativity and tutorials from Make Use Of and Cre8ive Commando . Next, read through some blogs that offer great design tips and techniques to maximize the visual appeal and versatility of your background page; for example, how to put live links in your background design. 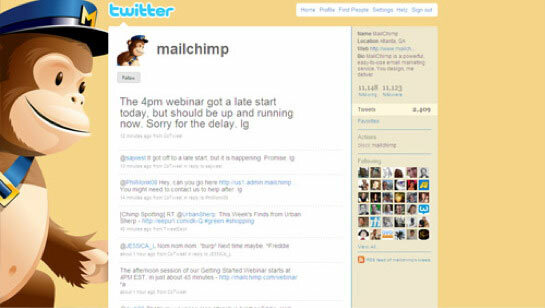 This blog on Smashing Magazine, though written before one of the major Twitter design changes in 2010, has a lot of creative ideas for maximizing the stand-out factor of your Twitter page. For even more visual flourish, check out this Spoongraphics blog for some how-to and best-practices. 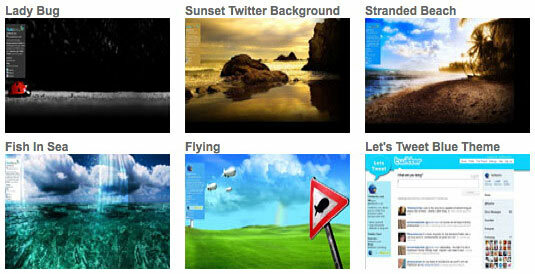 Twitter Backgrounds Gallery is a comprehensive site when it comes to Twitter design, with featured designs, pro tips, DIY blogs and other resources. Of course, the simplest option is simply to add a photo that’s representative of your cause, brand or organization. Twitter will tile it to fit larger screens. Once you do that — and it takes only seconds to upload an image via Twitter’s design settings — you can build your brand visually, perhaps by adding your logotype, text or contact info, one step at a time. Now that you have the resources, tackle your organization’s Twitter pages head on, because nothing is worse than an egghead. Thanks for the article – some great pointers and ideas for organizations on a budget. 99designs, where designers have been doing lots of Twitter background design work lately, just published a roundup of some cool designs if you’d like to check it out – http://bit.ly/TwitterDesignRoundup.